Emma Price was born in North Carolina. She has fond memories of hot summers where she would find a place to stay cool and read. Reading was her way of visiting exciting places and meeting interesting people. Mrs. Price graduated with a Bachelor of Arts Degree and a Master of Arts Education: Curriculum Degree from California State University, Dominguez Hills. In 2000 she was awarded National Board for Professional Teaching Standards Certification. 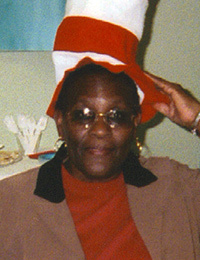 In 1999 she served on the Task Force of Mentor Teachers (LAUSD) who developed Standards-Based Lessons for the Division of Instructions and in 2000 she joined the Performance-Based Leadership Team for implementing Performance-Based Assessments to measure student achievement of the learning standards. Mrs. Price retired in 2005 after fourteen years as a classroom teacher and five years as a Consulting Teacher with The Peer Assistance and Review Program (PAR) for the Los Angeles Unified School District. Mrs. Price is a member of the Society of Children’s Book Writers & Illustrators, a member of Children’s Literature Council of Southern California and a member of the Independent Book Publishers Association. She has volunteered for The Pan African Film & Arts Festival, The Leimert Park Village Book Festival in Los Angeles, and LA Times Festival of Books. Mrs. Price has been a tutor for the non-profit organization Reading Partners © and at present, she does “guest Author” presentations at elementary and middle schools and local school districts. Emma Price hopes to have Another Girl Calls My Dad Daddy and Portia’s Incredible Journey in classrooms, libraries and homes of children who are 8 to 16 years of age. Her books contain conflicts and struggles in which students can identify and the books help children learn various ways others solve everyday problems. Mrs. Price has two adult children, a granddaughter, and two great-grandchildren. She resides in Southern California.